"HOW WE GO ABOUT ENGINEERING RACISM"
As the story goes, there have been as many as three separate, horrendous "hate-related" crimes (in the USA alone) "in the last 72 hours" ! ["TERROR DEED 1"]: "Wednesday, a white man with a history of violence shot and killed two African-Americans, seemingly at random, at a Kentucky Kroger store following a failed attempt to barge into a black church." ["TERROR DEED 2"]:"After mail bombs were being sent to people who'd been criticized by the President, a suspect was arrested Friday -- a man who had railed against Democrats and minorities with hate-filled messages online." 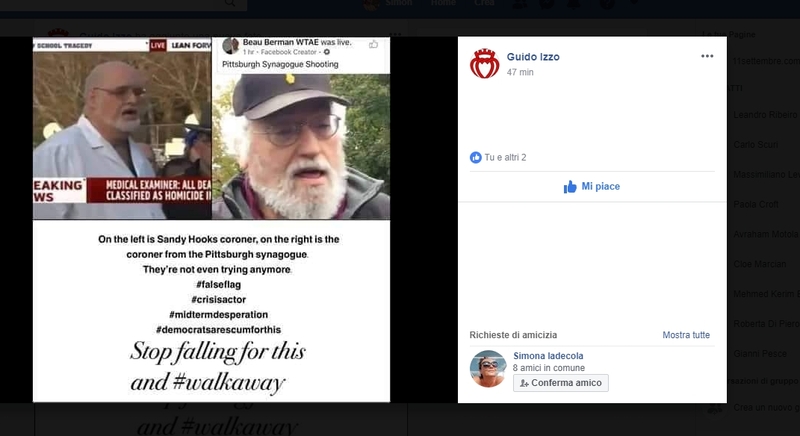 ["TERROR DEED 3"]: "And Saturday morning, a man shouting anti-Semitic slurs opened fire at a Pittsburgh synagogue, killing 11 people attending Jewish services. Those three incidents in 72 hours shared one thing: hate." "TERROR DEED 1" > alleged lone madman : "Gregory Bush, a 51-year-old white man". "A 51-year-old man with a history of domestic violence arrests and using racist slurs has been identified as the suspect accused of randomly shooting and killing two people at a Kroger supermarket Wednesday in Jeffersontown, Kentucky, near Louisville. Gregory Bush was taken into custody by police near the scene of the shooting after fleeing in his car when he was confronted by another man with a gun. The man who confronted him said Bush did not shoot him because they are both white. Both of the victims are black, but police have not determined if they were targeted because of their race." "TERROR DEED 2" > alleged lone madman : "Cesar Sayoc, a 56-year-old man of Italian /Filipino origins". "Sayoc was not previously known to the Secret Service, law enforcement sources said." 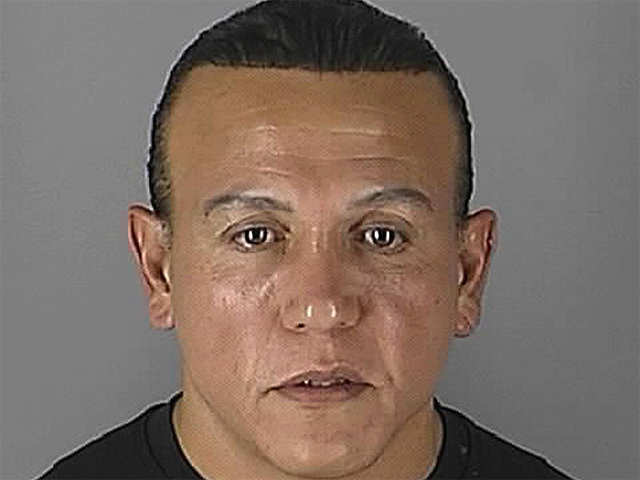 Caption: "Cesar Sayoc's police booking photos over the years: first, 2002, then two in early 2004, then in 2015"
And this man, we're expected to believe, "was not previously known to the Secret Service" ??? The silliness of these psyops is truly astonishing. WHEN, oh WHEN will the general public start realizing that these media-reported "terror deeds" are entirely phony events staged by their own governments? WHAT will it take to have this world's population reject "en masse" ALL of this disgraceful propaganda scheme? I can only hope that the efforts we do on Cluesforum will help achieve just that. "TERROR DEED 3" > alleged lone madman : "Robert Bowers", a 46-year-old Pittsburgh resident. "A man shouting anti-Semitic slurs ran inside the Tree of Life synagogue in the close-knit neighborhood of Squirrel Hill and opened fire, killing 11 people. Six people were injured in the attack, but it left many more hurting. Robert Bowers, 46, was identified as the gunman and arrested. He had frequently expressed his disdain for Jews on social media, a federal law enforcement official said. 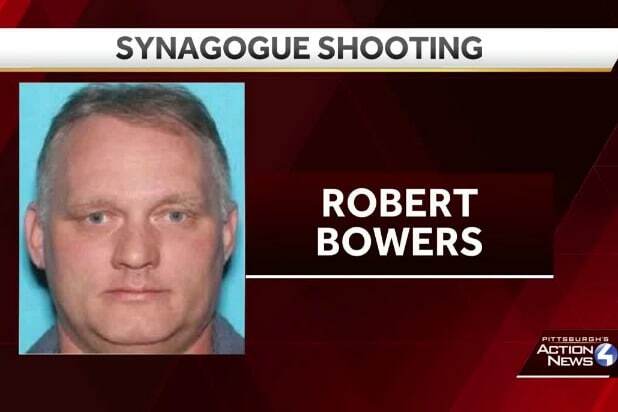 Social media posts targeting Jews that are believed to have come from Bowers are a focus of the investigation, a federal law enforcement official told CNN." "Eleven counts of obstruction of exercise of religious beliefs resulting in death." "US media said he had shouted "All Jews must die" as he carried out the attack." "Jonathan Greenblatt, the head of the Anti-Defamation League (ADL), a Jewish non-governmental organisation that fights anti-Semitism, said he was "devastated". "We believe this is the deadliest attack on the Jewish community in the history of the United States," he said in a statement." Oh my. . . that nasty infotainment site known as Heavy.com. And that’s of course in addition to the other sickening media outlets with their usual garbage. The programmers understand full well that a large percentage of people are sitting on the couch watching American Football from roughly Thursday afternoon/evening until late Monday night. And “thankfully” the watchers get routine updates with “breaking news” throughout. I’ve noticed on bike rides with my kids (and so forth), even on beautiful weekend days, that there are relatively few people playing outside in what is really an ideal neighborhood for such activities. I think it’s safe to say all this racial pot-stirring is a large component of the broader social engineering that is constantly bombarding humanity. Thanks to each of you for posting this. I wouldn’t have known about all this terror on the television otherwise. When stating that an "operator is hit high on the arm..." it sounds like the voice says 'tourniketted it...er...put a tourniquet on it...". Almost as if he is reading it "live" at speed and forgets to pronounce it properly but then corrects himself. I do not think that such a "mistake" would be a spur of the moment thing unless one was reading from a script as it is a word that a firearms operative must be used talking about but may not necessarily be something he ever has to read about it, i.e, seeing something fleetingly will knock you off-track/balance. simonshack wrote: The silliness of these psyops is truly astonishing. WHEN, oh WHEN will the general public start realizing that these media-reported "terror deeds" are entirely phony events staged by their own governments? WHAT will it take to have this world's population reject "en masse" ALL of this disgraceful propaganda scheme? I can only hope that the efforts we do on Cluesforum will help achieve just that. So are only muslims, blacks and white supremacists committing horrendous terror deeds these days? Nah - that wouldn't sound plausible, would it? 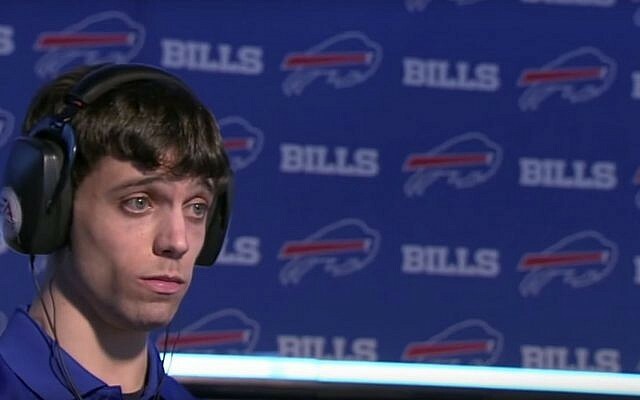 "Gunman David Katz kills 2, takes own life at Florida video game tournament"
JACKSONVILLE, Florida — Two people were killed and 11 others wounded Sunday when a video game tournament competitor went on a shooting rampage before turning the gun on himself in the northern Florida city of Jacksonville, local police said. The Forward reported that Katz was Jewish. 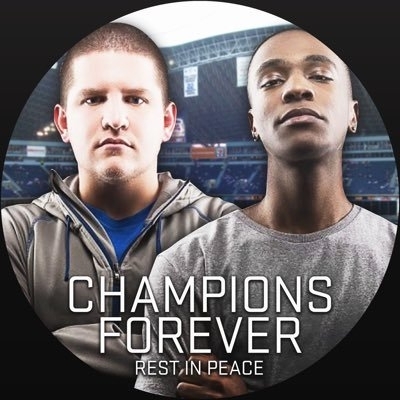 The Miami Herald identified the victims as Taylor Robertson, 27, of Ballard, West Virginia and Elijah Clayton, 22, of Woodland Hills, California. Kham wrote: Seems to me racism is one small factor of generalized ignorance concerning the other humans with which we share the planet. I agree with your above statement (apart from the word "small" - which I'd swap with "huge"). The thing is, this ignorance has been growing exponentially in later decades - and especially in matters of "racial intolerance". For instance, in Italy where I live there was hardly a trace (say, 20 years ago) of any sort of 'hatred' or intolerance against muslims / Arabs / Africans. Italy was, in fact, famed worldwide for its friendliness towards the Arabic world (and Africa in general). Today, this is no longer true: there has been a virtual explosion of rampant "Islamophobia" all over the press and social media. On Facebook, for example (yes I "confess" that I have an FB page, mostly so as to stay in touch with my local friends), hardly a day goes by without someone posting some appalling "racial slur" against "muslims / brown or black" people (and yes, even some distant acquaintances of mine occasionally indulge in such cringeful crap - *sigh*). Moreover, it is simply not true that no one will ever admit to be a racist. I've heard various local folks (on the street/or at social gatherings) utter words more or less to this tune: "Yes, call me a bloody racist! If some bloody towelheads can blow themselves up in a restaurant - or crash a truck into a street crowd, I certainly AM a bloody racist!" 12 million Muslims (a now commonly accepted figure which the official media culprits constantly keep hiding from the public) out of a population of 66 million (the beast number, as "they" say). France is being massively overwhelmed / overflown by immigrants and I am not going to fall into the rabbit rhetoric hole by blaming the migrants directly as I am well aware of the long-awaited plan (manigance!) aimed at generating complete ethnic chaos in Europe, also known as the infamous Richard von Coudenhove-Kalergi master plan (proudly designed by the sacrosanct "blue team") for a truly unified Europe embracing diversity. Oh yeah, such a great plan, really. And from my own experience, I can assert that those African immigrants do not really intend to assimilate with the rest of the population. And so what? Why don't France, Italy, Germany fully embrace this new "we are all different but we live in the same country after all" wonderful modern paradigm? Well, probably for the very good reason that most European nations have built their very own unique anthropological models all along the history, and that is probably what I cherish the most, being myself a proud "white Latin" European (arrr,"white", such a terrible word nowadays, isn't it? ), fully embracing DIVERSITY OUTSIDE not within. Less than 2 weeks ago, I was walking down the popular district called " Saint Michel - Cours de la Marne " in Bordeaux, France and it literally felt like visiting Bamako for 30 min. Pratique ! 500m later, some north African kids were playing soccer right in front of the majestic Saint André Cathedral, while the ball was bouncing back and forth about 10m away from the main entrance. Without no one even saying anything. Stay cool. Keep quiet. Try to do that in the Medina of Marrakesh, good luck! You can't even walk along the eye-candy Mosques around there as the locals will tell you to back up. Let me try to play soccer over there next time, I heard the kids never refuse to throw a good soccer party. I am way too aware of what most of these immigrant populations really think about white Europeans as a whole and it isn't really nice, beLIEve me. witnessing the collapse of our civilization. ElSushi » October 30th, 2018, 7:45 am wrote: And from my own experience, I can assert that those African immigrants do not really intend to assimilate with the rest of the population. Is assimilation a task of the "foreign body" -- and not rather that of the receiver? Our perceptions are very much influenced and controlled by official reports, I mean census data and other statistics (published by the media). Why to give them full credit? Simon, your forebears, the Norman rulers of Sicily and Southern Italy in the 11 and 12th centuries, were in fact famed for their multiethnic social organization and religious tolerance. Norman, Arab, Byzantine and Jewish communities coexisted peacefully under their prosperous rule, although I am not sure they intermarried. The language of the court was Old Norman or Old French, but all royal edicts were written in the language of the people they were addressed to: Latin, Byzantine Greek, Arabic, or Hebrew. Roger II of Sicily was fluent in Arabic and used Islamic architects and government officials quite extensively. Since the Normans of France apparently could trace their ancestors back to Vikings from what became modern-day Norway, and Simon is Norwegian, I suppose technically your statement is accurate. However, it seems a little bit of a stretch to assume that Simon's heritage is actually descended from a bunch of Frenchmen, especially given that Norway didn't exist until long after the Viking - and Norman - periods. Further, it doesn't seem the least bit likely that Simon's heritage traces back to Sicilian Normans. Without ignoring all those major geopolitical / ethnological / anthropological aspects - I could also and easily point out the case of Islamic Spain with the Muslim forces conquering the Iberian peninsula until 1492 - the Ahlambran Place being the finest surviving palace of Muslim Spain- but I am not quite sure whether Mr. Kalergi and his very Abraham-ic followers were having those past geopolitical realities in mind when our beloved European Zionist traitors sitting in high positions have been playing the old divide and conquer trick for the last 20 years in order to generate a massive ethnic chaos in WHITE Europe. That's just the same old trick, everyone is mixed with some other ethnicity, there is zero homogeneity, our DNA code is made of very fluctuating elements so swallow that shut the f? ?k up and embrace multi-racialism to the fullest. We simply need to redefine clear ideological / biological boundaries and the 3rd Reich did that back then. Yes, of course, fbenario. The connection with Simon´s physical person was sort of tongue-in-cheek. It was intended to encourage him to look into the history of the Kingdom of Sicily, if he hasn´t done so already. A fascinating period to study, with much to learn about statesmanship and coexistence between ethnicities and religions. On this topic I warmly recommend Burckhardt´s "Moorish Culture in Spain". Cultures do not really coexist, at some inevitable point, they collide. Moving ones family to another country is traumatic as hell because one is going to the unknown to negotiate a new society which means new schools, new doctors, new routes, new ways of purchasing, new homes and new government red tape. There are a number of reasons groups emigrate. Top of the list is that families want to improve their earning potential because conditions back home are financially limited. Who handles a country’s economy in order to encourage movement, both the one a person is leaving and the one the person is entering? What made it possible for Muslims to immigrate to France? Are those Muslims choosing to destroy the fabric of the ‘homegrown’ French culture? Or are they a pawn in empires game? It’s seems incredibly short sighted and tunnel-visioned to blame the immigrant for changes to a society. The main role of empires is people and land management. People and land, as engineered by empires come with vast resources to be shared with elite stakeholders who help empire do its job of handling populations so that they stay in line in order from which to be profited. That’s it right there. You’ve brilliantly summarized the goal of the Empire (to borrow your terminology). The only thing the Empire (at least attempts to) controls is “people and land” (i.e. everywhere and everyone). How petty of us to resent this fact. An unruly people are costly to empire. We mess with their well thought out thousand year plan. Well, I do at least make an effort to be “unruly.” So I’m doing my part. What made it possible for Muslims to immigrate to France? Are those Muslims choosing to destroy the fabric of the ‘homegrown’ French culture? Or are they a pawn in empires game? It’s seems incredibly short sighted and tunnel vissioned to blame the immigrant for changes to a society. Excellent point. This does seem to be one that tends to get lost in the discussion at times. So, we decry the invasion and exploitation of “third world” nations by the Empire, and simultaneously pretend that the victims should just remain there? But seriously, few people like change. Even fewer like change that involves new and different (and especially uninvited) people on their territory. On that point, I am exceedingly sympathetic. My point here is that there is a very complex set of dynamics in play, and it would be disingenuous to oversimplify those things. Thank you Kham for that post.